Some years it was drinkable, others it was vinegar. The daughter of an Italian immigrant, Terin grew up making wine at home in the basement. We founded BRYTER Estates in 2007. As the daughter of an Italian immigrant, we grew up making wine at home in the basement in Chicago. I have always been fascinated with the process of making wine, the difference of expression of the same varietal from different regions, and the way wine brings friends and family together like nothing else. I knew from a young age this was my passion. Growing up in an Italian-American home, we always drank homemade wine. Each year, my family would produce a few barrels of whatever type of fruit they could get from the season. Some years it was drinkable, others it was vinegar. Needless to say, it was not exactly “fine wine.” In college, I was waiting tables at a restaurant that had an amazing wine list, mostly French and California wines. The first time I tasted a great wine, I was hooked. 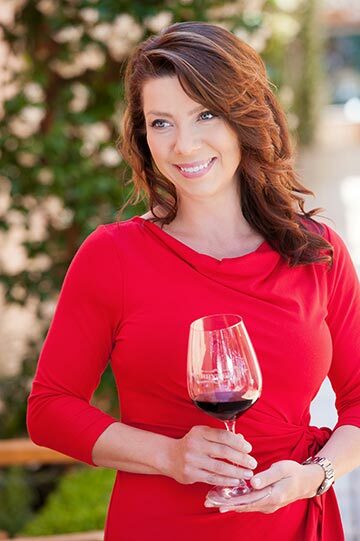 There are so many people in this industry and region that have been an inspiration to me, especially strong women who own, run and manage world-class wineries in Napa Valley. I remember reading the story of Beth Milliken and being so impressed with the all-woman team that had the vision and drive to make their land and winery what it is today. When I retire, I want to be a mail carrier. I’d love to have a nice, long walk be my job every day, and I’d be able to see all my neighbors and friends daily. My husband, who has been my biggest supporter and inspiration for me to start this journey; and my father and grandfather, who were my family’s first winemakers in Chicago. Talk to as many people as possible. Vintners love to share their stories, and will be surprisingly frank about the realities of the wine industry. Also, get involved, whether it’s by pouring wine in a tasting room, working as a harvest intern, or volunteering at events. There is a lot to learn and many ways to network to break into the industry. I’m actually a pretty big nerd at heart. I could spend hours working on an Excel Spreadsheet or creating PowerPoint decks.